Hi there! Stephanie here, sharing the first of my two design team projects this month. 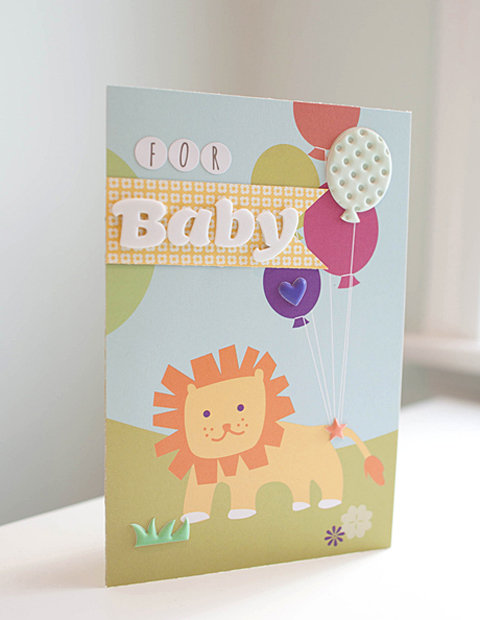 The Bits of Joy collection is too cute for words... or should I say roars? I just love that big fluffy lion that takes centerstage on the Dreamy Sweets patterned paper. The collection is perfect to incorporate into a jungle-themed baby shower. I decided to make a card for the mom-to-be. When patterned paper comes with a scene already printed, half the work is done. But I love adding dimensional details -- in the form of the balloons, stars, flowers puffy stickers -- to bring the scene to life. A simple trim of accompanying yellow patterned paper makes a lovely background for my banner. 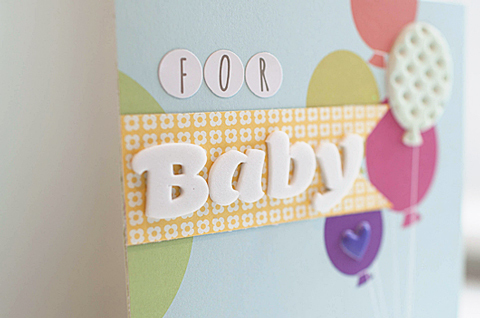 Alphabet letters in neutrals are a go-to standby for making card sentiments. What will you make with this collection? We'd love to see!